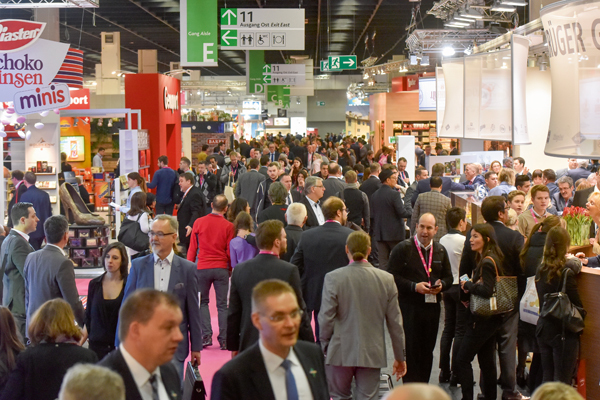 Despite the share of foreign visitors remaining constant at around 67 per cent, ISM organisers Koelmesse registered growth in the number of visitors from Japan, India, Pakistan and the Baltic region. There was, however, a decline in the number of visitors from China due to the Chinese New Year celebrations. In addition, there were fewer visitors from the UK and Turkey. Gota Morinaga, director and chairman of Japanese snack company Morinaga Co was awarded the ISM award 2017. The prize pays tribute to exceptional services in the sweets and snacks industry, as Bastian Fassin, chairman of the International Sweets and Biscuits Fair Task Force (ASIM) emphasised during the award ceremony. Over in the new product showcase, the top three innovations as voted for by this year’s ISM visitors were Bad Luck Cookies by Pechkeks, Organic Veggie Box by My ChipsBox and Pralibel Dômes by Pralibel. The Bad Luck Cookie by German group Pechkeks doesn’t predict strokes of good fortune, instead its messages are blunt, honest and direct. The black cookie was designed for people who don’t take themselves too seriously. Second place went to My ChipsBox, also from Germany. The Organic Veggie Box contains three crispy natural, air-dried vegetable crisps. The products are organic, vegan and gluten-free and are packed in a compact box. Third place went to Belgian company Pralibel for its chocolates that are packaged in a round box. In total, 220 products were presented in the new product showcase at ISM 2017. Here, we roundup key developments and launches from exhibitors at the show. AsCom Confection presented its improved chewing gum recipes in new packaging. Sales and marketing coordinator Jennifer Meyer explained that the German company can fit three times as much chewing gum into its new packaging, compared to its previous container. Its cube shaped Simpsons chewing gum range is available in Cola, Super Sour and Cotton Candy flavours. experiences. Because of the low water activity values, micro-organisms can’t grow, meaning there is no need for preservatives, according to the company. In addition, there is less migration of moisture to dough, resulting in a well-maintained crunchiness. Made solely with Swiss chocolate, the chocolate filling has a rich intense chocolate taste and smooth texture. It contains 40 per cent less calories than fat based fillings. All fillings are made without added vegetable fats or preservatives. The fruit fillings use a fruit puree base and offer a refreshing fruity taste and smooth texture. The confectionery range comes in Chocolate, Raspberry, Apple and Apricot versions and has a water activity of less than 0.6. The bakery range comes in Raspberry, Apple and Apricot and has a water activity of less than 0.5. Both are said to offer bake stability. Beneo presented its sugar free hard candy as part of its new Sweets Collection. The sugar free hard boiled candies feature Beneo’s sugar replacer, Isomalt. Flavour concepts include Fruit Veggie Twister, Hot Cool Booster, Mango Sticky Rice Delight, Arctic Breath, Fizzy Apple and Wine of Fire variants. Fruit Veggie Twister combines fruity and spicy flavours and taps into the trend for vegetables in new categories, while Mango Sticky Rice Delight is based on a popular dessert in Asia and responds to growing demand for “ethnic authenticity” in the market. Derived from beet sugar, Isomalt has a mild, sugar like taste and virtually no cooling effect. Its low solubility is said to improve sweetness retention and optimise flavour release. Buttermilk used ISM to launch its new ranges to the international market. The company showcased new Cornish Collaborations and Luxury Gift Box ranges. Launched to the UK trade market in September 2016, Buttermilk’s Cornish collaborations include an Earl Grey fudge and a Tarquin’s Gin fudge sharing box. The Luxury Gift Boxes, meanwhile, include chocolate coated fudge in Caramel Sea Salt, Very Berry and Triple Chocolate flavours. 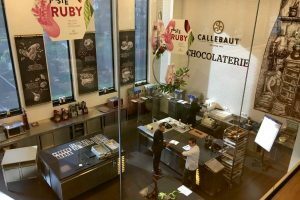 Netherlands-based Carmel showcased its Chocys Chocolate Candy that only melts above 90°C. Made with Belgian chocolate, the product is available in Classic, Mint, Orange and Hazelnut flavours. The group also highlighted its Fruitys sweets, which are free from dairy, fat and gelatin, and are available in Strawberry, Orange and Lemon. The show also saw the launch of Dr Heff’s Remarkable Mints – a “revolutionary” sugar free mint created by dentists Dr Mike Heffernan and Dr Toby Edwards-Lunn. The mints are said to actively repair the damage done by tooth decay, combat bad breath, as well as protect and clean teeth. They are also endorsed by Toothfriendly International. Fudge Kitchen showcased its range of original and vegan fudge, which uses oat milk. It also presented its fudge brittle to gain feedback from the market. 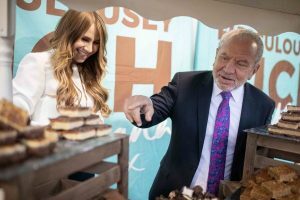 The company revealed that it is looking to launch sugar free fudge, which is made from chicory root. Scottish confectionery manufacturer and distributor Golden Casket Group presented products from its Millions and Buchanan’s brand labels, including seasonal lines. These included Strawberry, Bubblegum, Cola, Blackcurrant, Raspberry, Orange, Lemon, Apple, Cherry, Sour Strawberry and Chocolate Covered Strawberry Millions, as well as Clotted Cream Fudge and Macaroon Bars under its seasonal range. UK-based Moo Free Chocolates, which produces dairy free and organic confectionery products, revealed that it is introducing a 20g bag of free from buttons into each of its Easter eggs. The company replaces cow’s milk with rice milk in all of its chocolates, which are free from gluten, wheat, lactose, casein and soya. Its Easter egg range includes Moo Free Original Organic Egg, Moo Free Orange Egg and Moo Free Bunnycomb Egg. Spanish company Natra presented various products, which have been developed to meet trends, including convenience, sustainability and premium. These included its line of organic creamy spreads, available in Hazelnut, Milk Chocolate and Dark Chocolate flavours. 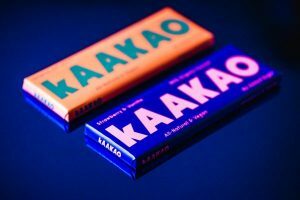 In addition, the group showcased its traditional small bars in new packaging: boxes of 10 units of individually wrapped bars to meet customer requirements for ready to eat products in portable packaging. Variants include Caramel Smooth, Hurry’up and Peanut Tasty. The King’s Deli showcased its hand cooked crisps. Available in Hot & Spicy, Sour Cream & Onion, Salt & Black Pepper, Honey BBQ, Cheese, Original Sea Slat, Paprika and Tomato & Herb flavours, the crisps are made using British potatoes and kettle cooked using sunflower oil. They are free from gluten and lactose and contain no artificial colourings or preservatives. Tilly’s used the show to highlight its toffee range, which includes Belgian Chocolate, Orange, Chocolate Ginger, Macaroon and Rum & Raisin variants. Founder and CEO Elisabeth Paterson said the company is looking to launch new products next year. Walker’s Nonsuch presented its new products for 2017, including Salted Caramels and Chocolate covered Liquorice, as well as its 400g bag of Assorted Toffees and Chocolate Eclairs. The group also highlighted new packaging designs for its products. Walker’s Nonsuch products contain no artificial colours, preservatives or hydrogenated vegetable oils. They are also free from gluten and use sustainable palm oil. The 48th ISM trade fair is scheduled to take place from 28-31 January 2018.